I found two separate recipes for brownie bites, I needed to make some treats for an open house and decided they were both were a try. 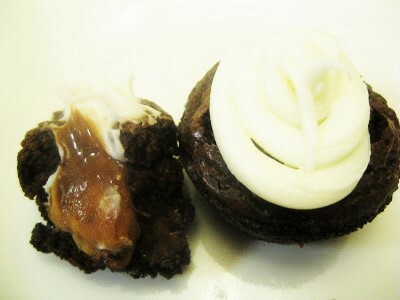 The original links for the two recipes are: cooklisacook.blogspot.,com and baked perfection.com. they would be a great addition to any plate of goodies you need to take somewhere. I like that you only need a few items for each recipe. Make brownie batter according to package directions. 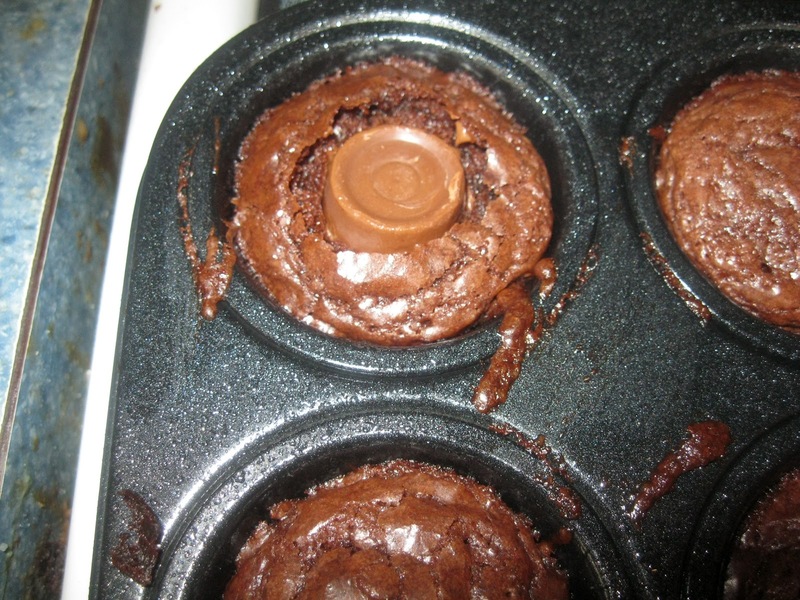 Pour batter into mini muffin pans and bake 10-12 minutes at 350 degrees. 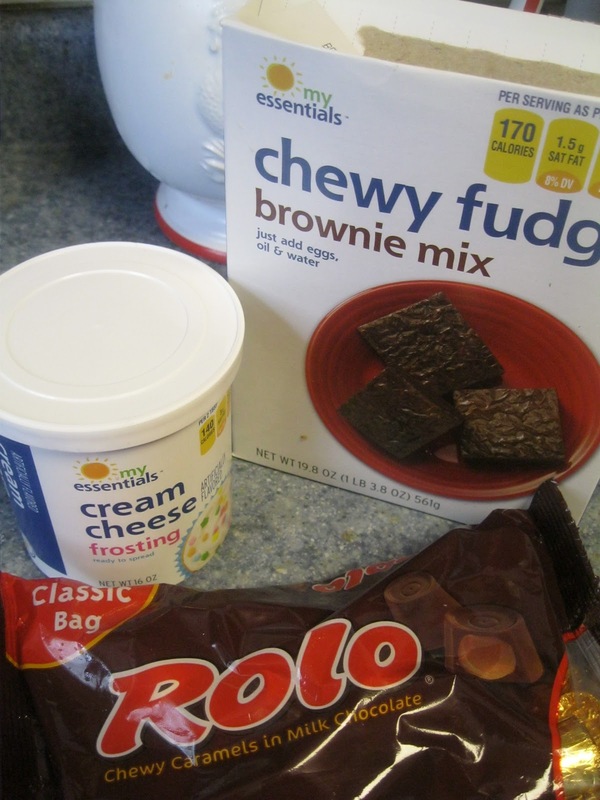 While brownies are baking unwarp rolo candies from foil. When brownies test done, by inserting a toothpick into the center to check, pull brownies out of oven. 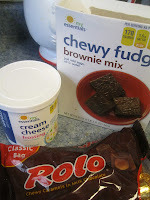 Immediately begin pushing a rolo candy into the center of each brownie bite. Loosen edges of brownies, but let cool completely before frosting. Once completely cooled pipe or spoon a tablespoon of frosting onto each brownie bite. I am not good at this part, and my daughter and daughter-in-law who are both amazing at it, live 2000 miles away, so your stuck with me. Remove from pan and ready to serve. Make brownies mix according to package directions. 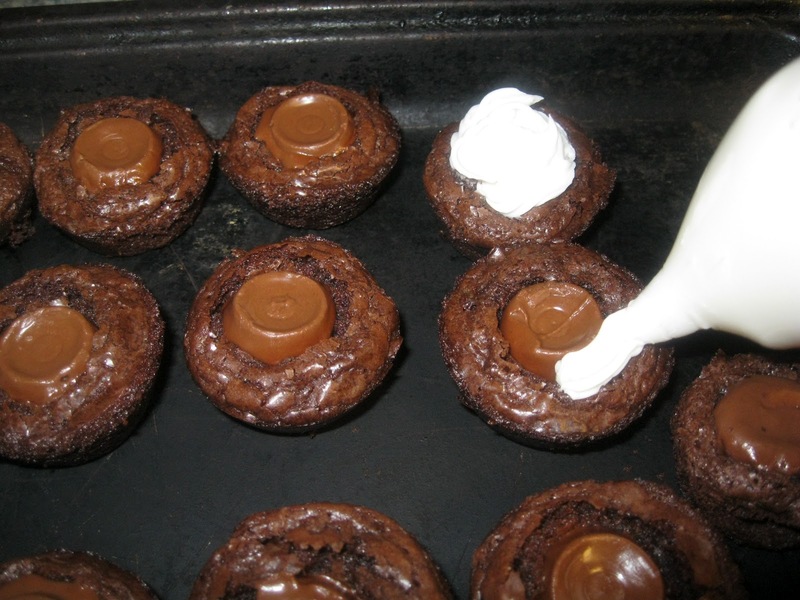 Pour into mini muffin pans and bake at 350 degree's for 10-12 minutes until done. After removing from oven, gently push down the center of each brownie bites, just a little bit to make a small indention. Melt peanut butter in microwave for 45 seconds. While brownies are still warm, spoon a teaspoon of peanut butter into each indention on each brownie bite. Top each brownie bite with a sprinkling of both peanut butter chips and chocolate chips over the peanut butter center.